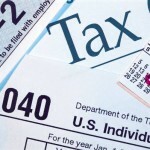 MACximize Consulting can help you take advantage of extended year-end tax benefits. Take advantage of favorable 2009 tax-year benefits for businesses by purchasing new hardware and software technologies for your business from Apple before December 31. Section 179 of the IRS tax code allows businesses to deduct the full purchase price of qualifying equipment purchased or financed during the tax year. Most types of business equipment qualify for this deduction, offering small businesses a great opportunity to MACximize their purchasing power. – Buying new equipment can be profitable for the tax year because the tax savings often exceed the first year’s payments (assuming a 35% tax rate). – Businesses can take full deductions for purchases up to $250,000 (only for 2009) if overall spending is less than $800,000. – Businesses can take advantage of accelerated depreciation for amounts over $250,000 in 2009. – Eligible property includes computer hardware and off-the-shelf (boxed) software that has been acquired by purchase for business use. – New and used equipment qualifies for deduction as long as it meets eligibility criteria. We encourage you to consult with your tax advisor to find out if your hardware and software purchases qualify for deduction under Section 179. – Coordinate product acquisition and services with your local Apple Retail Store or with Apple’s Business Sales team. On Monday, Apple released Mac OS X 10.6.2, the latest update to its Mac OS X operating system. As you might surmise, it contains a number of fixes and feature enhancements. 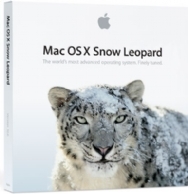 Apple, as always, recommends 10.6.2 for all users running Snow Leopard. Among the general issues addressed in the update are a well-publicized if unusual bug that could result in data loss when using a guest account, a problem that could cause a system to logout unexpectedly, Spotlight search results not showing Exchange contacts, the reliability and duration of VPN connections, VoiceOver performance, and video playback and performance issues that could crop up for the latest iMacs when AirPort is active. Apple’s also broken down a number of other fixes into functionality categories. Font fixes, for example, include an issue with font space, font duplication issues, and a problem with PostScript Type 1 fonts not working properly; graphics fixes include glitches connecting monitors via DVI or Mini DisplayPort adapters and the brightness setting not getting remembered between restarts. Mac OS X 10.6.2 also provides patches for a number of problems with Mail, including the return of deleted RSS feeds, a problem where you can’t preview attachments in new messages, Address Book and Mail freezing up when opened, and Mail’s unread count not updating properly when messages are read on another computer. Lest you think MobileMe got left out, think again: your iDisk should now be snappier when accessed from the Finder and have better syncing performance; reliability and performance when syncing info via MobileMe, iTunes, or iSync should be improved; and you shouldn’t run into a problem where syncing iDisk files stalls at “checking items.” There are also a handful of minor fixes for network file systems, printing and faxing, and Safari.